There are many elements that come into play when you’re selling a house. The location, architectural style, and current market trends all play an important role in the success of your sale. The hope of all home sellers is that the stars will align correctly, and their home will sell quickly. Unfortunately, this isn’t always what happens. If you feel like your property may need some help from luck and fortune, you’ll want to check out the following ways to increase those when selling a home. One of the most famous methods used to increase the luck of selling a property is the use of a St. Joseph Statue. Legend has it that if you bury a St. Joseph Statue upside down facing the house, while repeating The St. Joseph Prayer, your house will sell faster. This is said to be because of St. Joseph’s dislike for being buried and the sooner your house sells, the sooner he can be dug up and placed inside your new house. The tradition dates to a period known as the “degradation of saints.” During that time, they supposedly buried the saints, head and all, while saying something along the lines of, “I will keep you in the dirt until you sell my house for me.” It may sound a bit harsh, and it most likely was, but that’s why today there is only a statue involved. Just don’t forget to say the prayer. The prayer, according to history, isn’t as old as the tradition of burying saints. It dates to the 1500’s, when nuns in Europe needed to expand their land, and they would recite the prayer before burying medals of him into the ground. After some time, the prayers were answered, and the nuns received more land. Say the St. Joseph prayer, starting the day of burial, for nine days. Also, make sure you bury the St. Joseph Statue in the front of the house, preferably by your ‘for sale’ sign. It is believed the closer to the sign he is buried the more potential buyers you’ll receive. When the process is over, hopefully the practice worked, make sure to display the St. Joseph Statue honorably in your new home. O, Saint Joseph, you who taught our Lord the carpenter’s trade, and saw to it that he was always properly housed, hear my earnest plea. I want you to help me now as you helped your foster-child Jesus, and as you have helped many others in the matter of housing. I wish to sell this house quickly, easily, and profitably, and I implore you to grant my wish by bringing me a good buyer, one who is eager, compliant, and honest, and by letting nothing impede the rapid conclusion of the sale. 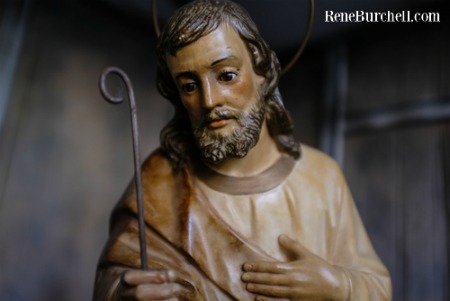 Dear Saint Joseph, I know you would do this for me out of the goodness of your heart and in your own good time, but my need is very great now and so I must make you hurry on my behalf. Saint Joseph, I am going to place you in a difficult position with your head in darkness and you will suffer as our Lord suffered, until this house is sold. Then, Saint Joseph, I swear before the cross and God Almighty, that I will redeem you and you will receive my gratitude and a place of honor in my home. Amen. The St. Joseph statue isn’t the only strategy you can implement to increase the chances of selling your house. There are others, like Citrine Stones, that others have said made all the difference. Citrine Stones come in all shapes and sizes. The important factor to remember here is that Citrine is believed to bring an abundance of success, optimism, and happiness. It is also recognized to increase the flow of intention and manifestation, two elements that are arguably key to selling a house. Yet, the influences don’t stop there. The healing and positive energies attributed to Citrine are plentiful. It has been praised for its ability to aid in the rejuvenation of the spiritual self and as a spiritual cleanser. The spirit of a person, particularly one trying to sell a house, should be top notch, ready to take on any challenge. Citrine has also been known to be defining elements in the roles of self-improvement, inspiration, keeping your energy high and increasing your drive. 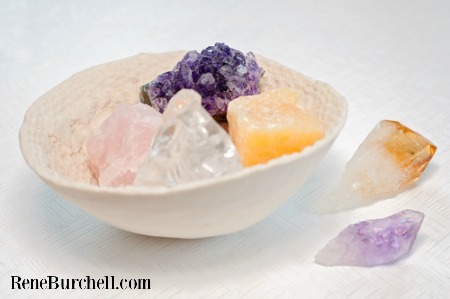 Citrine stones aren’t the only crystals that may help sell your house. Other crystals, like Carnelian, which promotes courage and confidence, and Quartz, a popular choice that destroys negative energy, can all be paired to create the perfect team of stones to finally sell your home and move on. Carnelian isn’t only encouraged to help with courage and confidence, but also motivation and endurance, leadership and courage. And Quarts, although rich already in its ability to dispel negative energy, could be argued to be the best stone at maintaining balance in one’s life. Placement of these stones means everything. Placing stones like Citrine in the South East corner of your home will apparently demonstrate the best results. The success and optimism it is known for will only thrive if placed correctly. Carnelian, on the other hand, should be displayed by the front door, showering its positive attributes on anyone who enters or exits. A crystal-like Quartz will best be kept in the southern area of your house, giving the energy it produces its maximum potential. Often used to increase good overall energy, and to thwart any negative vibrations, Feng Shui is a well-known practice from Chinese origins. What you may not know, however, is that Feng Shui can be used to promote wealth and good luck. In other words, it can help sell your house. Feng Shui, a traditional Chinese concept, aims to link the destiny of man to his environment. Its focus is to ensure that people live in harmony with their surroundings, similar to how real estate agents want their clients to feel. Feng Shui was initially used to identify dwellings that were both safe for families and respectful for the burial of their relatives. From there, like most humble beginnings, it grew, being used to map more ambitious projects like palaces, monuments, and even government buildings. The practice of Feng Shui says many things about luck and how to bring it forth. One such rule to follow is to keep your plants thriving and prospering. That’s right, dead or withering plants can invite negative energy inside your home, the same home you’re trying to sell. Keeping negative influences out is one of the most important ideas behind Feng Shui. Water those plants regularly, as well as allowing them plenty of sunlight, or keep none. It’s that simple. Another factor from which Feng Shui allows luck to blossom within your home is choice of decor. First off, less is more, as clutter can lead to obstacles that prevent positive energy from flourishing. Clutter, especially around the main entrance, should be eradicated at once. Not only will it keep your entrance way looking fresh and clean, it will allow energy of wealth and luck to enter freely. Keeping a tidy interior is relevant as well, making sure negative energy has nowhere to be trapped, therefore not hindering your ability of getting rid of it. Pictures and what those pictures depict play an important role in maintaining a positive chi, the Chinese word for life force energy. People in pictures should always be smiling, happy, and inspired. Frowning faces will only invite negative tones and when it comes to selling a house, a positive outlook means everything. Pictures of water are not only pleasant to the eye, but also symbolize wealth and money. Be careful, though. Make sure the water is flowing inward, toward the house, and never outward. This is because outward flowing water symbolizes the opposite, that there is a lack of money and wealth. Nobody wants to buy a home where they think negative energy may be growing. Feng Shui continues to evolve, even in the real estate market, perhaps even going so far as to say it may be how most houses are sold in the future. 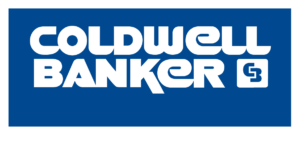 After all, most people will undergo the process of selling a house in their lives, and the concept of making it easier on the buyer and seller alike remains an alluring idea. Charms associated with good luck, not to mention good fortune, come in many forms. Many groups of people for hundreds, if not thousands, of years believed in the tranquil and magical qualities of such a force. The Amish are no exception. 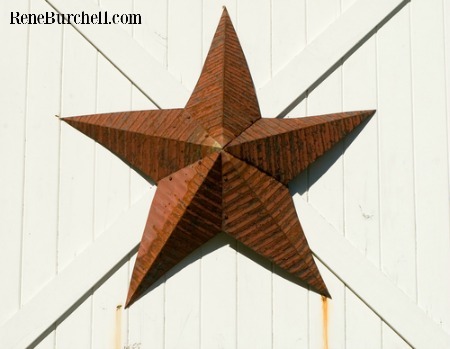 The Amish Barn Star, a three, four, or five-point star usually hung on the barns in Amish communities and on houses nationwide, is a symbol of great importance and luck. On closer inspection one might realize these stars, also known as Pennsylvania stars, are made of nothing more than leftover tin from roofing materials, but that doesn’t mean their significance, or essence of luck for that matter, means any less. In fact, as most new ones today are fabricated using galvanized metal, having one made from real tin adds to the authenticity and history they represent. People, Amish or not, have been hanging Amish Barn Stars from the walls of their barns and houses for over three-hundred years. The feeling of luck and fortune they represent mean that much. Even in the years following the civil war, when tensions were still overwhelming, large industrial sites often displayed them on their factory walls to ward off potential injury to their employees. When it comes to Barn Stars, and their potential at either expelling or conducting different forms of energy, color is said to be a contributing factor. If protection and peace is your forte, along with calmness and spirituality, blue will be your best bet. Black, despite usually being depicted as a negative color, will offer protection. If friendship and strength is important to you, as it is to most people, the best color suited for these pursuits is brown. Green symbolizes growth and fertility, both noble and important, but its other meanings, like success and ideas that grow, will best fit one in the process of selling a house. Orange will cover such subjects as abundance in career and projects. Creativity, a great quality when it comes to selling your home, is best represented by red, while sacred objects and entities fall under violet. A healthy body and mind is a subject not to be ignored and yellow is believed to represent it boldly. White, perhaps the most versatile of all, is said to manifest purity, power of the moon, and allow energy to flow freely. There are many ways and beliefs, whether you tend to be superstitious or not, that can help a person sell their house faster. The religious might turn to the tried and true method of St. Joseph. Those in a more spiritual mood might go the route of Citrine and other precious stones. Feng Shui, a popular system not reserved for only those of Chinese descent, offers many methods to bring luck and fortune on oneself while Amish Barn Stars, an age-old tradition, are growing in popularity. It may even be a smart move to try all four. Either way, those who choose to adopt any of these methods, as much as they may help, should be reminded to always start with the basics, like choosing the perfect agent in the aid of selling their homes.